Great scene in When Harry Met Sally. No, not that one. I’m talking about the one with the Pepper in my Paprikash scene. Why, you ask, am I mentioning this scene on DaisyPatch Farm? 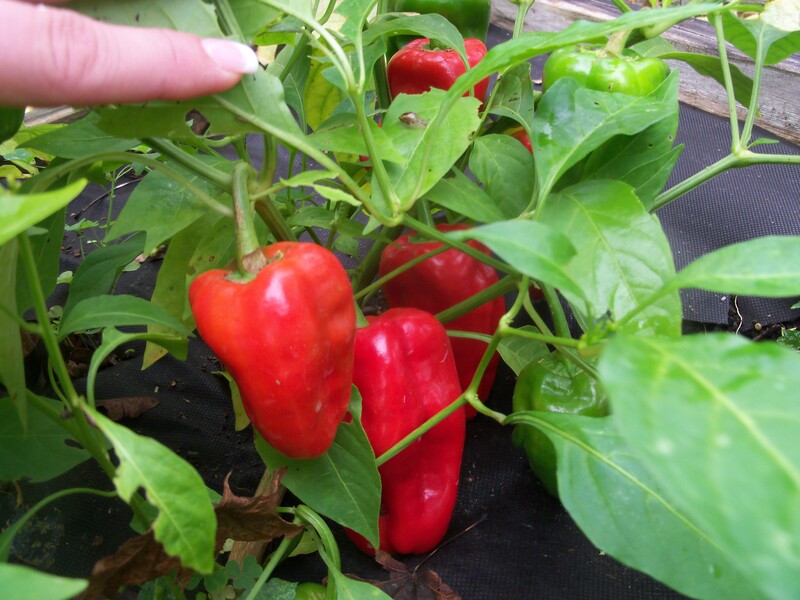 Because we are growing paprika peppers. Successfully I might add. They are free from any sort of disease or blemish including, but not limited to, mold, mildew, fungus, blight, bugs, boils, canker sores, acne, carbunkles, exzema, impitigo, scabies, ringworm, dandruff and genital warts. We haven’t seen them afflicted with alopecia, lice, calluses, rosacea, folliculitis, varicose veins, vertigo, athlete’s foot, malignant melanoma or even buck melanoma. Here’s hoping we can keep it that way. Although now that I look at this picture more closely, I do see a snail. Dammit! I can’t freeking win. Carbunkle is officially my new favorite word…. Nice looking peppers. The snail makes it organic. CJ, I like your way of thinking.